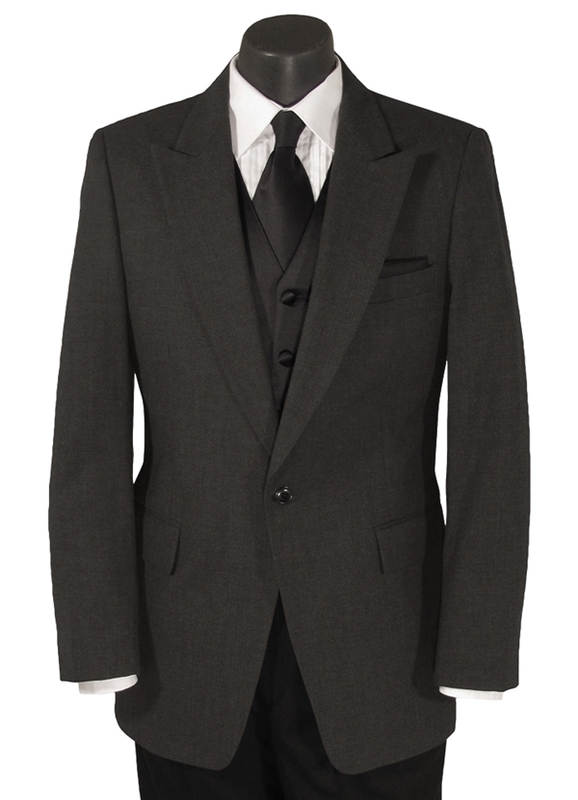 The Light Charcoal Grey 1 button peak stroller tuxedo coat by Classic Collection has versatile and timeless appeal. Featuring a 1 button single-breasted front, self peak lapels, self top collar, self flap pockets, and fashioned from Charcoal Grey Tropical Worsted Wool. This coat is perfect for use as daytime Wedding Formal Wear, or for everyday use as a Suit Jacket. This is the same stroller jacket as the CU002, but just one shade lighter.